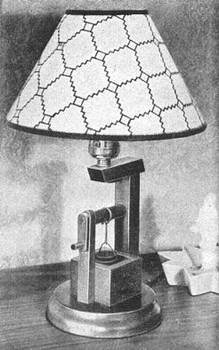 Woodworkers do not generally think of a lamp as a typical project. 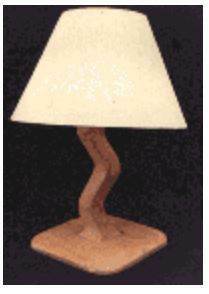 Free lamp plans turn any craftsman into a lamp designer with many choices in style, shape and size. Choose beautiful hardwoods or use scrap lumber to create a simple lamp, completed with common hardware from your local DIY store. 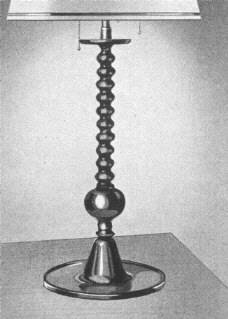 Use a jigsaw to create simple shapes for a hurricane lamp or use a lathe to make an English spindle lamp. 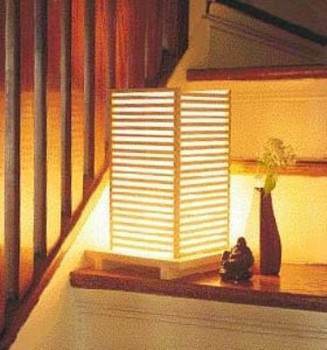 A Japanese shoji lamp is easy to build with wooden strips and shoji paper. Add a commercial lighting kit to any project and complete your new lamp. A birdhouse or spinning wheel lamp is an advanced project that really shows off your skill. 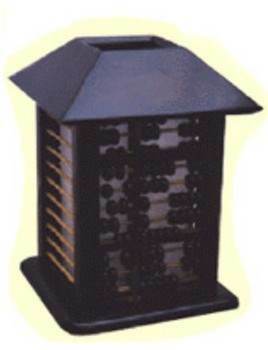 However, free lamp plans are available at all skill levels and there are projects for everyone. Whether you use scrap lumber or choose exotic hardwoods, your woodworking project will add a beautiful decorating accent to any room. Create this good looking lamp with mission styling in just one weekend using this simple plan. 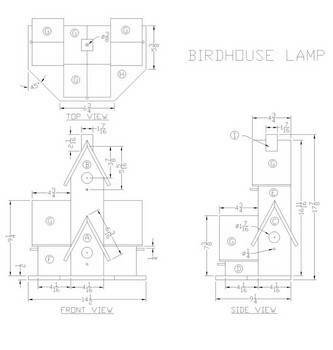 Build a charming birdhouse lamp that stands 18 inches tall and has multiple birdhouse roof tops. 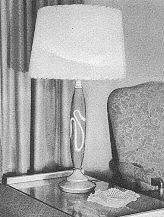 Here is an attractive lamp that is so easy to create. 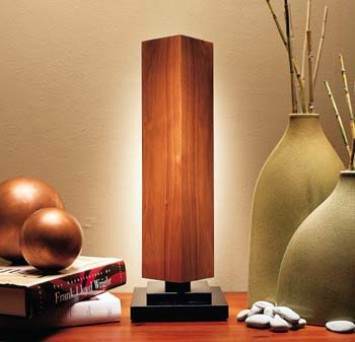 The lamp has an oriental feel yet goes well with most any decor. A simple afternoon project for beginners offers warmth and grace. Some simple store-bought hardware and some black spray paint turn shop scraps into a dramatic table lamp. This plan is for a lamp that has a water well and bucket as its base and is a really fun and unique idea. 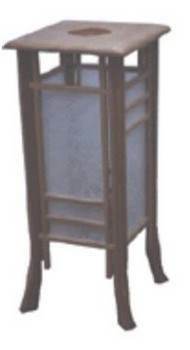 Build a lovely and elegant Japanese lamp that will give a room a warm glow and can be built in just a couple of days. Build this whimsical lamp with children around a maypole - great lamp for the nursery or child's room. This is a project for a lamp using contrasting woods. The result is a unique and lovely lamp for your home. 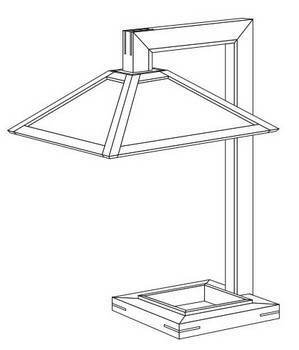 A handsome English-style lamp built out of walnut can be achieved using this detailed plan. An adorable spinning wheel lamp can be built with this plan that has helpful pictures and drawings. 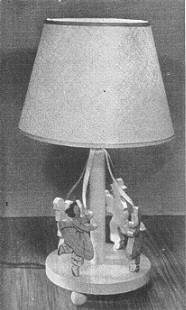 Attractive oriental lamp built from stained pine and abaci that gives off intriguing shadows for a warm romantic feel. Plans for a pair of oak lamps that are inexpensive to build using nothing more than a jigsaw and a drill. 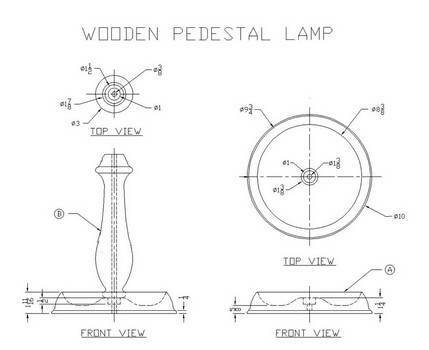 This is a very detailed plan in step by step format for building this pedestal lamp. It also has a cupped base for placing keys and other small items. 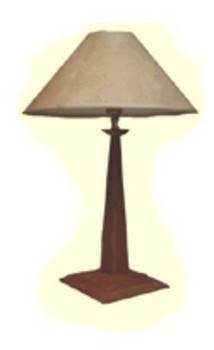 Here are downloadable instructions and materials list to help you build a handsome arts and crafts table lamp. Great project for the experienced woodworker. 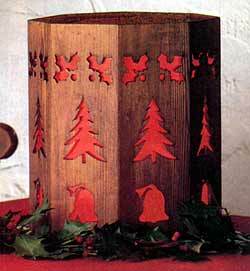 Build this hurricane lamp that has cutouts of holly, Christmas trees and bells and will easily accent your home at Christmas time.